James Ramsay was born at Fraserburgh in Scotland in 1733. He was educated at King's College, Aberdeen between 1750 and 1755. After two years as a doctor's assistant in London he entered the navy in 1757 as a surgeon aboard the Arundul whose captain, Sir Charles Middleton, was to offer Ramsay material aid in later life. While serving at sea an injury disqualified him from further service. He took holy orders in the Anglican church and settled into a living on the Caribbean island of St Christopher (now usually known as St Kitts). Along with his pastoral duties Ramsay practised medicine, but the cash value of his living was derived from the sugar plantations - worked by slaves - which were attached to the church. Ramsay immediately welcomed all of his parishioners, black and white, into his church and set out to convert the slaves to Christianity. Moreover, he strongly criticised the planters for their cruel treatment of the slaves and initiated many measures intended to ameliorate the condition of the slaves. The planters resented Ramsay's interference, as they saw it, in the running of their lawful businesses and he soon came under attack. Letters were written to local newspapers, an angry notice was pinned to the church door, and his church was boycotted. Exhausted by the conflict Ramsay quitted St. Christopher in 1777. He briefly accepted a naval chaplaincy before returning in 1779 in the hope that the animosity against him might have subsided. It had not and so he returned to Britain in 1781, taking with him his personal servant, a black slave called Nestor. He was presented to the valuable living of Teston and Nettlestead in Kent which was in the gift of his former captain Sir Charles Middleton. The following three years were spent writing the Essay on the Treatment and Conversion of African Slaves in the British Sugar Colonies which was published in the summer of 1784. This event immediately embroiled Ramsay in pamphlet debate with various agents and supporters of the West-India Interest. The debate brought him a measure of fame and influence - he was invited to dine with the Prime Minister on several occasions - but it had a more lasting effect in that it set the tone for the slavery debate. Ramsay contributed a further half-dozen publications to the campaign, many of them addressed directly to pro-slavery apologists such as James Tobin and Raymund Harris. Despite Ramsay's importance to the movement he did not live to see its fruition. He died in 1789, a few months after his portrait was painted by Carl Frederik von Breda. The portrait is now in the National Portrait Gallery in London. Although Ignatius Sancho thought that the works produced by Granville Sharp in the 1760s and 1770s were 'of consequence to every one of humane feelings', few of the small number of anti-slavery pamphlets written before the early 1780s made much of an impact. Many were dismissed as the work of Quakers or Methodists. This state of affairs was reversed after the publication, in 1784, of James Ramsay's Essay. With the appearance of this book the British reading public were for the first time presented with an anti-slavery work by a mainstream Anglican writer who had personally witnessed slavery in the British Caribbean plantations. For the first time the plantation owners themselves felt sufficiently threatened by an anti-slavery text to line up behind several vitriolic and often highly personal refutations of Ramsay's arguments. Granville Sharp had laid many harsh facts before the reading public but it was Ramsay who initiated a dialogue. Despite the ferocity of the attacks made on it there was little in Ramsay's Essay which had not been said before and much that is said over and over again in the years which followed. 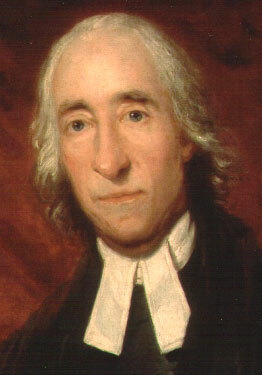 However, a substantial portion of the slavery debate in the 1780s centred on Ramsay's work and, although the arguments which were endlessly advanced and countered may have differed little in substance throughout the decade, Ramsay's tone and arrangement were widely imitated.